Sometimes you just need to know what your agenda is for a given day with needing to open your calendar on your phone, or navigating to the Google Calendar. Luckily, users of Google Chrome can simply call up their agenda using the Omnibox (searchbox). There are many variations that one can use to find a specific agenda, whether for today, the future, or even the past. The easiest way to see your agenda in chrome is to just enter My agenda in the Ombinbox. 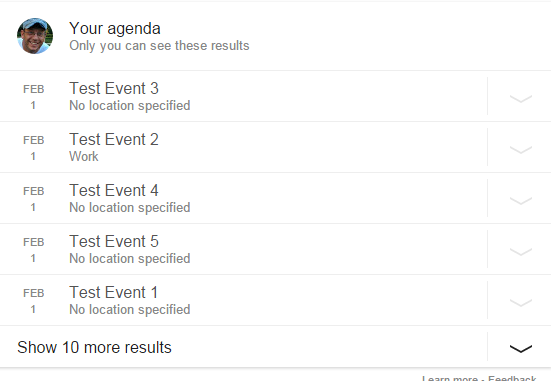 That will give you the results below initially displaying the next 5 events in your schedule. 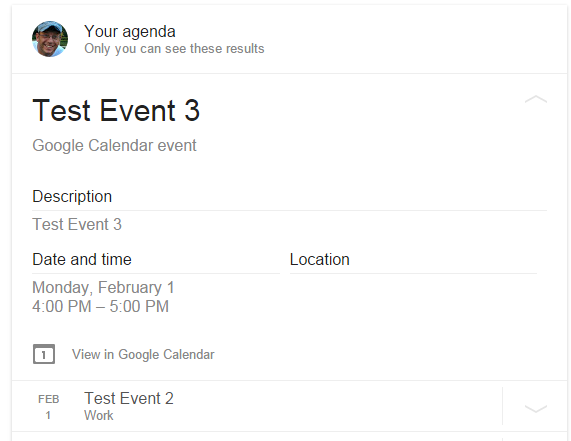 It will only initially show you the date and event name, but if you click on the event it will expand to show you more details. 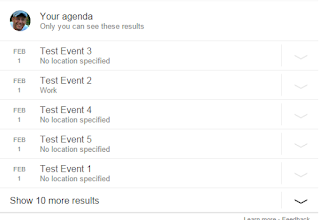 You can always click on the Show 10 more results to display more events. If you know of any other ways to call up your agenda, please feel free to leave that info in the comments below. I can't get this to work. I'm typing the text in the chrome search bar, but it just displays search results. What am I missing? Thanks for all of the great articles. There have been lots of people that cant get this working, not sure why. 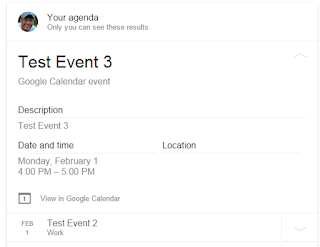 Have you enabled Google Now on your mobile device first?